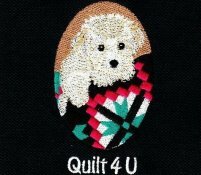 Quilt 4 U needs you! Voting for week 1 ended. Cricket Comforts was the winner in the large group category and Catherine A in the individual/small group category. Please vote for us - picture #12 - you will see our pillowcases with pompoms, Featherweight sewing machine, and a stack of pillowcases. We only have 26 votes so far this week. Please vote and ask your friends and family to vote too. If we finish in 1st, 2nd or 3rd and win the cash prize we will donate it to one of our charities. We will be making pillowcases next week - Monday thru Saturday. If you would like to help pin, iron or sew, send me an e-mail at info@quilt4u.com or call the store at 573 443 7858. If anyone has pillowcases they picked up and were unable to finish, please bring them to the store by Monday and we will finish them up. Saturday March 30tg will be the last day to donate finished pillowcases as we need to send in our final count of how many were completed for charity.